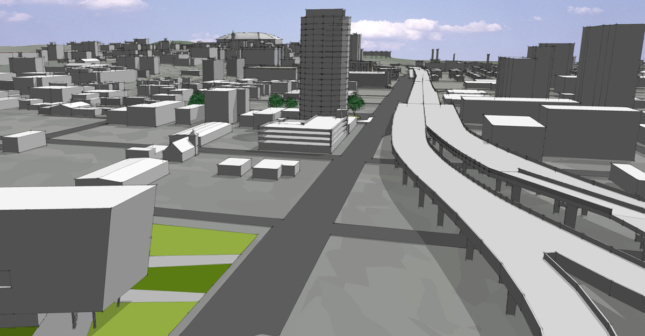 The fight to bring down an antiquated elevated highway in Syracuse, New York, is among the controversial issues being highlighted in the race for one of the state’s U.S. Senate seats. 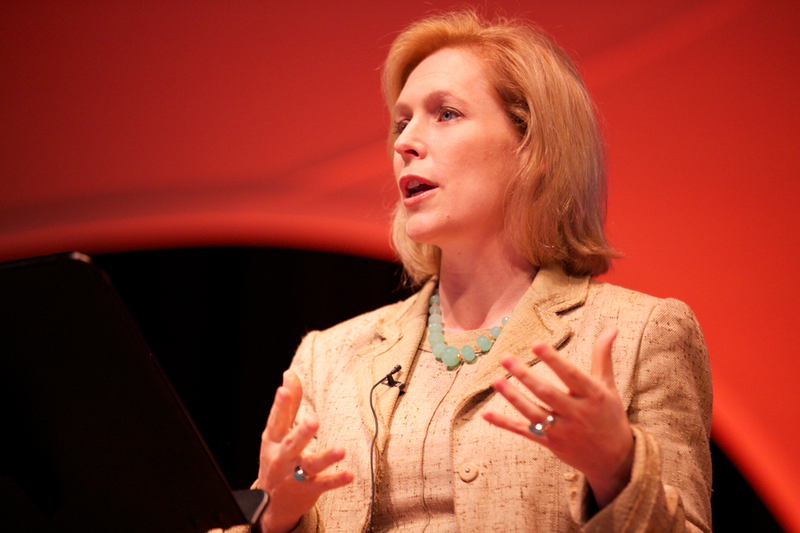 On Monday, Senator Kirsten Gillibrand, D-N.Y., told The Post-Standard she supports the effort to replace a portion of Interstate 81 with a street-level grid—a position she’s never spoken out on before. For years, higher-level politicians have shied away from taking a stance on the decade-long debate to fix one of Syracuse’s greatest transportation issues. 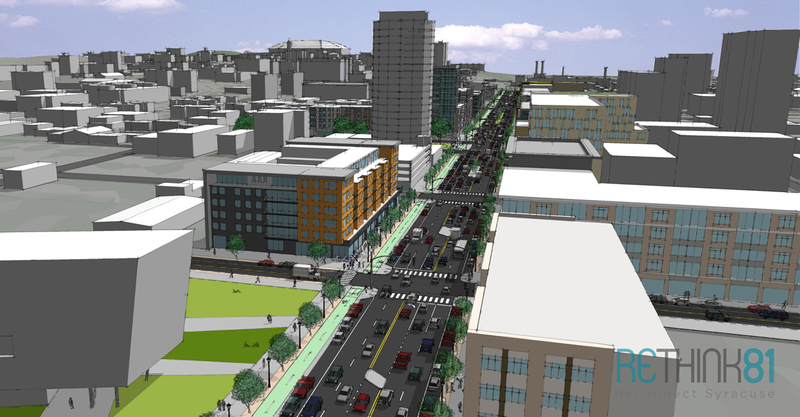 The 1.4-mile highway viaduct cuts through the heart of the city’s downtown, segregating the community physically and economically. As of last year, it reached the end of its functional lifespan and is no longer safe for the thousands of cars that traverse it each day. Syracuse-based community groups, university leaders, and local politicians have spoken out about the dire need to address I-81. Some have come out in favor of any of the three proposed options—an underground tunnel, street grid, or rebuilt overpass—while some have stayed quiet. So far, Gillibrand is the most influential person to state her opinion. Senator Charles Schumer, D-N.Y., and Representative John Katko, R-Camillus, have declined to comment. It’s no coincidence Gillibrand is speaking out just weeks away from the Tuesday, November 6, election for her U.S. Senate seat. Her Republic challenger, Chele Farley, criticized her decision to pick a proposal. Of all three options, the underground tunnel could prove the most expensive at $3.1 billion—another reason why Gillibrand doesn’t back it. A new elevated highway would be around $1.7 billion, while a boulevard, or community grid, would cost $1.3 billion. Most of the funds will be supplied through the federal government via President Trump’s recent infrastructure rule that places priority on interstate highway projects. But some worry Syracuse’s failure to unite on a decision will prevent the city from getting the money it needs on time. Gillibrand and Farley will face off in a televised debate this Thursday at 1:30 p.m. on WABC-TV. Whoever wins the Senate seat will take on the task of pushing the project forward based on the community’s final decision. The New York State Department of Transportation is now working on a new environmental impact study surveying the three options. It’s set to be published in January when a public commentary period will open.